After the month-long trial in Albany, one of the robots will be brought to the Tuai substation and the other will be based at the Transpower head office in Wellington. At the Transpower substation in Albany, two robots are on duty as part of efforts to determine how they can be used in remote locations. 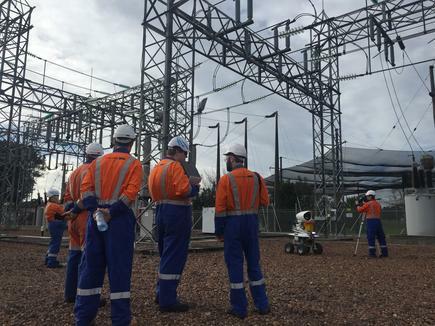 Transpower owns and operates the National Grid of New Zealand and the ongoing trial is an example of how organisations are tapping robots, artificial intelligence and other emerging technologies. 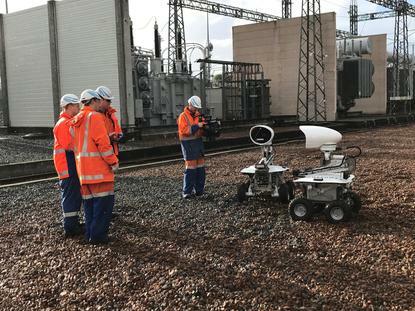 The robots, developed with Massey University, have in-built cameras, sensors and 4WD tracks that allow them to traverse the rugged external surfaces of the substation and observe the state of vital power equipment. When the month-long trial ends in two weeks, one of the robots will be sent to the Tuai Substation. It will be deployed there for a year as a production solution, says Cobus Nel, Transpower general manager information services and technology. The second robot will be based in a laboratory near the ICT team’s office at the Transpower head office in Wellington. “We want to use that as a platform to develop some additional capabilities,” says Nel. The project is an example of cross-functional collaboration between the operations and information technology divisions. It also shows a shift in the way organisations are working to tap the potential of disruptive and emerging technologies. Nel says his team first got involved in the project when it started playing around with and developing robotics concepts. This was around five years ago. As part of that initial work, the ICT team bought a remote control car with a camera from an electronics store. Nel says that at the time the consumer electronics space was much more primitive than it is now, but the team developed a concept of robotics that could work for Transpower. Mark Ryall, acting general manager, grid service delivery at Transpower, decided that the experiment showed potential, states Nel. Real-time monitoring of a substation using cameras would generally require a significant investment in infrastructure, says Nel. “It turned out it was more of a mechanical problem than an IT problem,” he says, "how to design a robust platform that can carry a sensor load?" 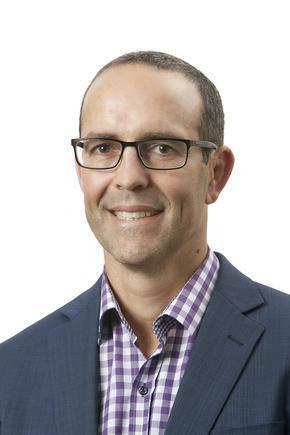 Ryall says Transpower senior principal engineer Andrew Renton started to look around at what was on offer from the different robotics teams at universities and polytechnics. Renton was after teams that could do simple proof-of-concept style projects in “small, fast steps,” says Ryall. 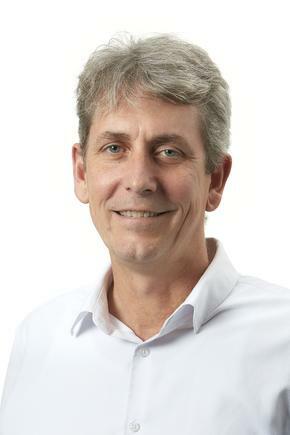 Massey University, he says, “was the most enthusiastic and seemed a natural fit for this approach”. Renton worked with Johan Potgieter from the university to set up some student projects to test and validate the idea with minimal cost. They then worked with the Transpower grid development team until they had the hardware and software for a minimum viable product. By the start of 2017, Ryall says Transpower knew the basics could all be delivered at the right price point. “Now, it was about getting a full scale serviceable product that could be tested for a protracted time, including everything from wifi in substations and communications backhaul, to security and integration into control centres,” he says. At that point, they transitioned the project from the grid development team to the information service and technology division led by Nel. He says that while Transpower and Massey University had a robust relationship, in which the university could provide the service in the form of a substation robot, the project did not follow the traditional procurement approach. He credits project manager Auriga Martin for managing this aspect of the programme. “We used agile processes, not only to develop the communication infrastructure that is required on our side of the solution, but also to assist iteratively in improving the capability of the robot to meet our needs,” says Nel. “It is quite a hybrid model that we followed in developing the solution and having a robust commercial relationship,” he states. “We made a decision when we kicked this project off that we would rather procure as a service,” explains Nel. “You have to find a way to work really closely with these startups to understand what are the requirements to develop the solutions that will actually be fit for purpose in the long-term,” he says. “You cannot just operate through a ‘here is a specification, please provide against it’ [approach],” referring to traditional working relationship with technology providers. As the project progressed, the team from Massey had the opportunity to adjust and learn from the real-world requirements of the Transpower environment. “It is an environment that they would not normally have access to do testing,” he says. The ICT team, he says, was excited with the project starting from the early work using the remote control car, which cost about $200. “What most people are excited about is the potential,” he says. “If you have got a robotic control vehicle with a camera on it, then it can be programmed to follow certain routes and take visual images of some assets on a regular basis. That data can feed into a visual analytics system, offering the opportunity to automate condition assessment, instead of relying on manual inspection processes. The robot in Wellington, meanwhile, will help drive innovation within the organisation, says Nel. The CIO challenge: Do you have enough money for IT innovation?